Alex Drummond is the director/writer/producer of PFF 2014 Horror Feature The Shower, a film about a group of friends who get trapped at a baby shower when a mysterious outbreak starts turning people into homicidal maniacs. However, this is not only a horror film, but a film that is “well-acted, and laugh-out-loud funny,” according to a PFF attendee review. Annie Hall is the movie that has influenced me the most. I'd put Shaun of the Dead in second place. Is Die Hard a drama? Pulp Fiction? (Along with Annie Hall, those are my top three.) If I had to pick one, I'd give a slight edge to Die Hard. If I had to pick a straight drama: The Godfather. Favorite Documentary Scorsese's The Last Waltz. Favorite film that you think most people have never seen, but should? My first thought is Quick Change, with Bill Murray … but, maybe a lot of people have seen it. Just in case, I'll throw in Ed Wood. Do you have a favorite film poster? I'm partial to the poster for Rocky. It's hanging above my TV. Alex tells us that PFF came early in The Shower’s festival run, and they had a fun year traveling with the movie. Although, he says, no other festival he attended has a PARTY PAVILION! Alex reports that The Shower is in final stages of setting up distribution, and he hopes to have The Shower available on VOD and DVD later this year. The film’s producer, Mark Stolaroff, represented at PFF 2014, accepting three awards: Best Picture; Best Director – Henry Barrial; and Best Screenplay – Joseph Vasquez (sadly, Vasquez died in 1995, never to see his last screenplay produced). This week, Mark shares a few of his favorite films to add to your list! This is really hard because there are so many great ones, but I'm going with a film that many people aren't familiar with, despite it winning the Oscar for Best Documentary. Murder On A Sunday Morning. Brutal, enlightening, moving film. And still so relevant. Maybe more so today. Obvious Child. Saw this at Sundance and fell in love with it and Jenny Slate. A great movie for Jews! Oh, Man, that's a hard one. I see a lot of films! There's a great little film by a really talented filmmaker named Sean Baker called Starlet. It won some awards and got some attention, but not what it deserved. Maybe the poster for 127 Hours. In the film, the guy climbs between rock walls in the desert and then gets stuck. He only has so many hours to get free before he dies. The poster shows a guy climbing between two rock walls, but when you look closer, you see that the rock walls form the shape of an hourglass, and the boulder in between is like a grain of sand. I mean, how clever is that! Jill D’Agnenica, director of Life Inside Out, shares some of her favorite movies with us this week. Called gentle, poignant and down-to-earth, the film was a hit with PFF 2014 audiences ~ so much so that it took home the Audience Award. Harold and Maude directed by Hal Ashby has my favorite combination of absurdity and poignancy. I saw it for the first time when I was 12 years old and have been smitten for life. But for the biggest laughs, only amplified with each subsequent viewing, hands down it’s gotta be Roberto Benigni’s farce of mistaken identity, Il Mostro (The Monster). Wings of Desire by Wim Wenders. Of the recent past (because I have so many favorite documentaries,) it’s The Cove directed by Louie Psihoyos, which pulls off the amazing trick of behaving like an action packed thriller with comedic moments while being a harrowing piece of investigative reporting. Hmm, this is a hard one. The biggest gift for me on the festival circuit, besides sharing our film with audiences across the country, was seeing so many wonderful independent films. Early on I saw and fell in love with Tu Seras Un Homme by Benoît Cohen and starring his real life wife and son, about a solitary, somewhat abandoned little boy whose life is transformed by a young man his father hires to be his baby sitter. Other favorites of mine were When a Wolf Falls in Love with a Sheep by Chi-jan Hou, 45 RPM by Juli Jackson, The Big Ask by Thomas Beatty and Rebecca Fishman, and Hank and Asha by James E. Duff and Julia Morrison. I loved the documentary The Ballad of Shovels and Rope by Jace Freeman, which follows the musician couple who are so sweet they make your teeth chatter. Okay, I promise I am stopping now, but the list could go on and on. Miranda July’s Me and You and Everyone We Know. I’ve heard Miranda July speak a few times and each time she has lamented, “making movies is hard.” Well, I am so glad that it hasn’t stopped her, because she has such an original, offbeat vision. And, the French film, Tomboy by Céline Sciamma … this film explores gender identity with the softest touch. It is lighthearted and full of love and acceptance and I watched it three times when I was prepping Life Inside Out, for inspiration and encouragement. Jill tells us that since the 2014 Phoenix Film Festival, Life Inside Out experienced continued success. The film screened at 18 festivals, winning 14 awards (including six for Best Narrative Feature, four Audience Awards, Best Music, Best Screenplay, and Best Actor), and has been doing a limited theatrical release in select cities, with a run at Quad Cinema in NYC coming up this weekend through Thursday – January 16-22. If you still miss it, Monarch Home Entertainment is releasing Life Inside Out on DVD and VOD in the coming months! 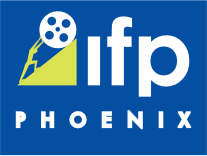 For the 2015 Phoenix Film Festival we encourage you to Find Your New Favorite Movie! As we approach the festival we've started a new series on our site where we ask some Phoenix Film Festival filmmaker alumni about some of their favorite movies. In case you missed the first one, you can see Eddie Jemison's here. Picking a favorite in any genre is always such a difficult task and can be so dependent on how I feel in the moment I'm asked, but the movie that is almost always right there for me regardless of genre is The Jerk. Growing up in the era of Adam Sandler and Jim Carrey, I've always been drawn to character driven comedies, so after my millionth viewing of Ace Ventura or Billy Madison as a film obsessed 10-year-old, my dad forced me to watch The Jerk, "to see how it's really done". It changed my life. I had never seen something so stupid, but so smart. You can do both? At the same time?!?!? It's just perfect, I can quote any line – and I do often, much to the annoyance of everyone I know. Anytime I've named a dog since then it's been a struggle not to name them "Shithead", that's how much The Jerk has affected me. There Will Be Blood is my favorite drama; even though I'm almost positive it's a secret comedy … I mean it's hilarious. It's the kind of movie that is just so perfect that it makes me giddy to think about it. I smile the entire runtime to the point where my face cramps. It's genius. I'm going to cheat and give two because it's too hard to pick one. Errol Morris' The Thin Blue Line is everything you could ask for in a true crime doc— great story; excellent characters; beautiful filmmaking; and it had an actual impact on the case it illuminates. My other favorite is Metallica: Some Kind of Monster, I love this one for very different reasons, as it's basically a nonfiction Spinal Tap, it's so great. So funny, so epic. The thing about the circuit is that you meet so many great people and excellent filmmakers that your opinions of the films and the people behind them merge into one so you can't judge the films objectively, so here's a list of some of the films I've loved made by new friends: The Big Ask, King of Herrings, Little Hope Was Arson, Surviving Cliffside, 10,000km, Fort Tilden, The House That Jack Built. I love the original Citizen Kane one sheet with "It's Terrific!" scrawled across it. I love it so much I stole the quote as my production company name. For the 2015 Phoenix Film Festival we encourage you to Find Your New Favorite Movie! As we approach the festival we're starting a new series on our site where we ask some Phoenix Film Festival filmmaker alumni about some of their favorite movies. First up, Eddie Jemison, whose film King of Herrings received rave reviews from enthusiastic audiences at the 2014 festival … and beyond! Eddie, along with co-director Sean Richardson (both of whom wore many hats) snagged the Dan Harkins Breakthrough Filmmaker Award at PFF 2014. There's something so funny and so sad about Benjamin Braddock. Dustin Hoffman just has to stand there, and you see both. He's too sincere for the world he's growing into, and has no clue how to open the door and enter adulthood. This movie has everything! It's impossible to pin down its strengths. Long beautiful scenes. The meanest stepfather in the world. A little boy who finds magic just when he needs it. There's good. Evil. A man plays a woman. A woman plays a man (who lives locked in a room and just might be Jesus). An adult story from little boy's perspective. Black and white, cinema verite about the utter desperation of door-to-door Bible salesman at the end of the 60s. They press on with so little evidence of hope. Kinda what's it's like being an actor. Tense, taut, super smart indie thriller that documents the crumbling facade of friendship and what it means to be loyal. An indie film with hints of classic noir, written with more subtlety and finesse than most of what Hollywood offers today. The Phoenix Film Festival is looking for interns for the 2014 festival. The internships are unpaid but include festival passes and can be done for school credit. Multiple interns are accepted for each position. This internship will provide the candidate a wide variety of experience working on all aspect of the festival. This will give the intern extensive experience in hospitality and event planning. Work with Filmmaker Relations in planning travel to Festival including air, hotel and ground transportation. Correspond with filmmakers to ensure their needs are all met and that the festival receives all needed materials from them. Work with Events Department on execution of all four major festival parties including entertainment, vendors and logistics. Build web content for films selected to the festival to market the event. Become assistant editor for the printed Festival Program which is a 72 page booklet about the event. Work with Guest Relations on creation of ticketing process including online sales, passes and printed tickets. Coordinating sponsorships with Sponsorship Director including getting materials to and from sponsors. Manage events leading up to the festival that promote the event. This internship will provide the candidate a wide variety of production experience working on video production aspects of the festival. This will give the intern experience in video production. Capturing video from short films selected to play at the festival from video files on discs, drives and submitted electronically. Assist in producing compilations of the short programs on BluRay. Involved in building BluRays for the opening trailer for the festival programs. Serve as crew for production of video spots broadcast during the festival. Involved with preparing the online video spots for the website. Join us on Saturday, April 6th, 2013 from 9am to 2pm for Kids' Day. Kids' day is a great way for children ages 5 to 12 to come out and experience the festival. They can select from a series of hands-on activity stations focusing on different aspects of film production and geared to various age and ability levels. Stations are age-appropriate and run the full gamut of the filmmaking process. At the conclusion of the activities, the whole family is invited to view the family-friendly film screenings that morning and afternoon. Suspicion Official Trailer from Tea, Earl Grey, Hot Productions on Vimeo. 2011 PFF selection, "Suspicion" will be opening at Harkins Valley Art on March 2nd. Here's the trailer. COME FOLLOW ME TEASER from APAIRUS COMPANY on Vimeo. See the trailer for "Come Follow Me". See the short as part of the Arizona Shorts Program at the 2012 Phoenix Film Festival.